Designing our new website has been a big step for the agency. We know we’re good at what we do and love doing it, but how do we communicate the true core of the brand visually? Richard Branson once said: “The brands that will thrive in the coming years are the ones that have a purpose beyond profit.” Not only do we want our brand to be purpose-driven, we also want to mirror this with our clients. Making a difference is what we do best. That means developing ideas that work on more than one level, that change behaviour and go beyond profit. It’s what we care about most. Who am I? I’m the designer and I was employed for my visual eye. Before starting with Satellite PR in September 2017, I was oblivious to public relations with no training or understanding. 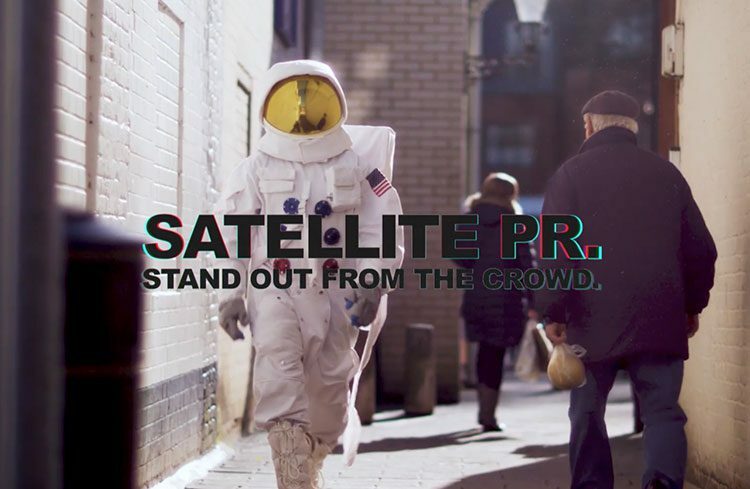 I’ve learnt first-hand, from the outside looking in, that Satellite PR is much more than an ordinary PR agency, and I hope a look at our past work proves it. The people I work with are passionate about making a positive impact and this is what makes us stand out from the crowd. If you want to go above and beyond, then let us know. We’re full of ideas! !